CES starts off every year with a look at some of the most amazing technology products we’ve ever seen. Some will go on to revolutionize our lives, some will become crucial role-players for a niche group of users, and some will just be really weird gadgets that no one will ever use. We can’t anticipate which of those three categories the following gadgets will fall into, but after seeing them, you might know for yourself. 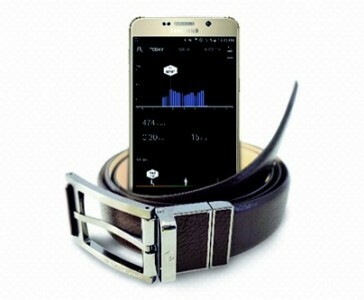 From Samsung Electronic’s Creative Labs comes WELT – a healthcare belt that keeps tabs on your waist size with the help of some IoT technology. If you feel a bit self-conscious about wearing a smart watch to monitor your daily activity, perhaps wearing this smart belt could be appealing. Not only will it log your step count, but also your eating habits and time spent sitting down. A companion app lets you in on this crucial data for your personal well-being. If you don’t quite have the green thumb that you’d like, maybe you would fare better with this robotic pot that measures and analyzes parameters critical to a plant’s health. 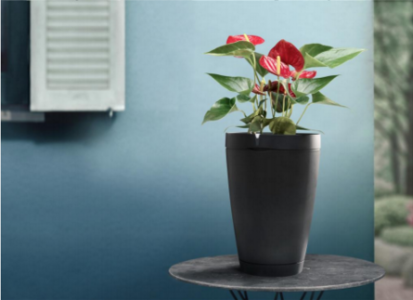 From the Paris-based drone maker, Parrot Pot connects via Bluetooth to your smartphone or tablet to send you push notifications when something’s not quite right – whether it’s soil moisture, fertilizer, temperature, or light intensity. Data is captured every 15 minutes and trasmitted to the Parrot Cloud for analysis. The best part? It will water your plants for you. 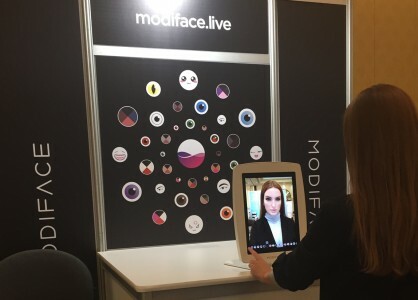 Toronto-based ModiFace showed its new augmented reality mirror that lets you see what you’d look like with makeup without the need to actually put it on. Its features include “live 3D reshaping of the eyebrows,” a coloured contact lens simulation, teeth whitening simulation, and gesture-controlled makeup looks. How do you interact with it? Air kisses change your lipstick colour, and eyebrow raises will change your eye products, among other gestures. 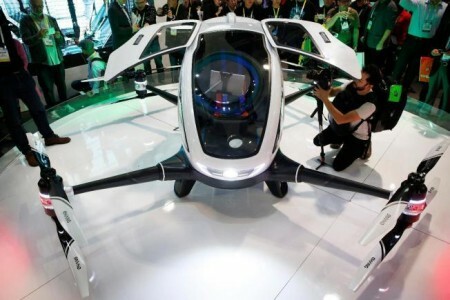 If you thought drones were only good for scaring your pets and getting pixellated selfies from 20 feet in the air, EHang wants to prove you wrong, This fully autonomous electric aerial vehicle can carry a person up to 220 lbs a short distance through the air. 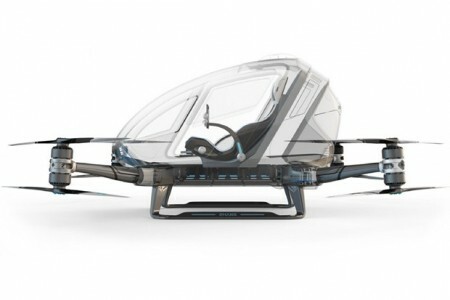 Choose your destination on a tablet in the cockpit and be transported through the air by this 5-foot tall, eight-rotor drone. Its maximum speed is 62 miles per hour and it can fly for a maximum of 23 minutes. If you’re wearing WELT and it’s telling you that your waist size is increasing, then you might want to check up on how much fat you’re burning with Levl. 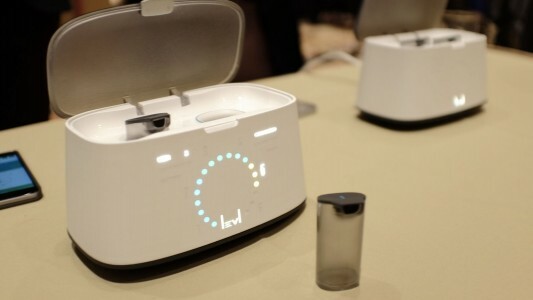 This breath analyzer works by analyzing the acetone levels in your breath, which indicates how much fat you’re burning. Just breath into the tube, place it in the analyzer slot, and have it give you the results on a smartphone app. You can probably fit it next to your toaster. If you need both the previous device as well as this one, you might look something like Homer Simpson. 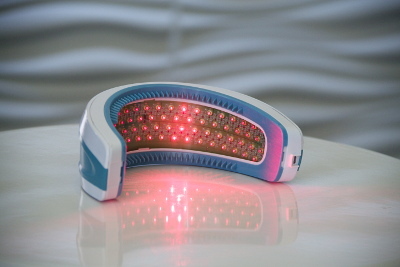 For just $1,122.05 this “hands-free laser medical device” will zap your scalp with laser light, with the intent of encouraging new hair to grow. A treatment can be done in as little as 90 seconds, and the device is cleared by the FDA. 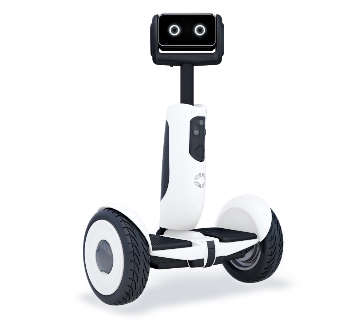 During Intel’s keynote, we were introduced to a new Segway. Yes, it can transport you around just like the original device, but this time on two wheels and there’s a bigger twist – it turns into a robot. When you step off, a little screen with robot eyes can extend up and turn on the robot mode. On stage, it followed a person around the stage, had conversations with its designers, and even had a pair of arms attached. A development kit is going to be released later this year, and commercial launch is planned eventually. This camera made a splash when its promotional video had it following snowboarders, kayakers, and hiking selfie-takers. The idea is you put a tracking device in your pocket, throw this flying drone into the air, and then it follows you and takes photos of you, aided by image stabilization. 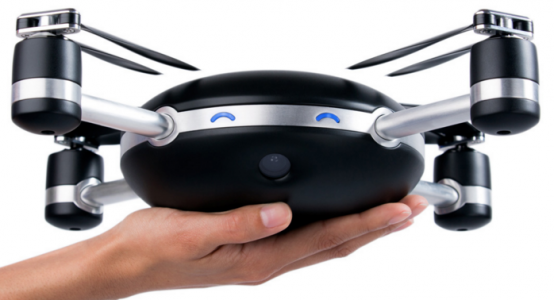 Current pre-orders are shipping to the U.S. only and put the drone’s cost at $799 USD.